They are offered with following specs. The decision to remove this portion of the power supply was most likely a cost cutting move. worse think it's failed at some point and buy another. Most Jamma boards do not require -5V to function. However there are some arcade boards that will not function without it. Below are the details to correct the omission of the -5v supply voltage so this can be used with any arcade board it's needed for. 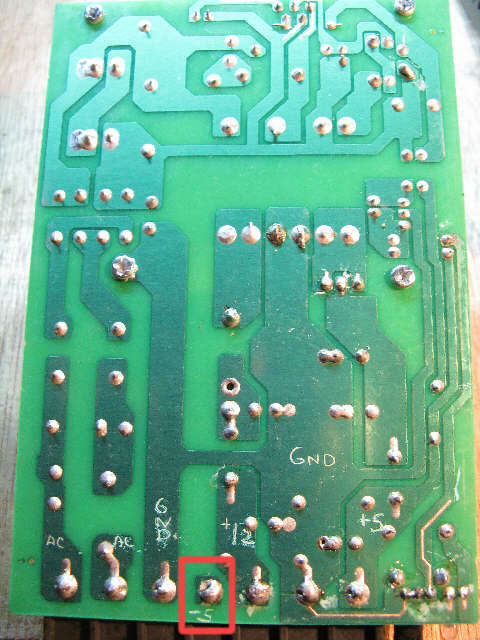 This is the board, solder side removed from the case. 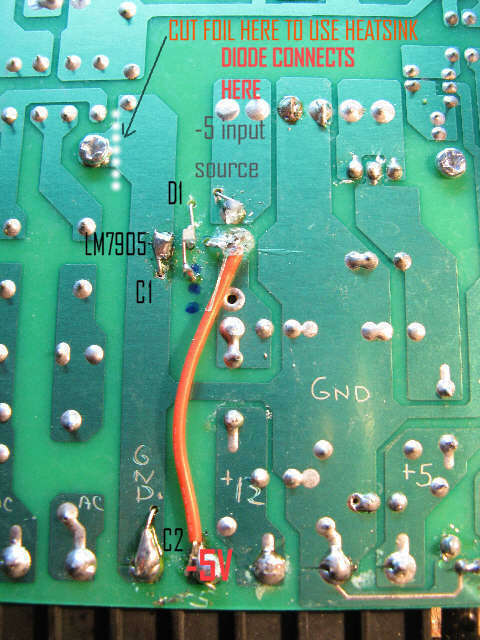 The terminal circled is the -5V Screw post bottom. I've scribed on the board AC,Gnd, +12, +5, and -5 as marked on the terminal strip label. 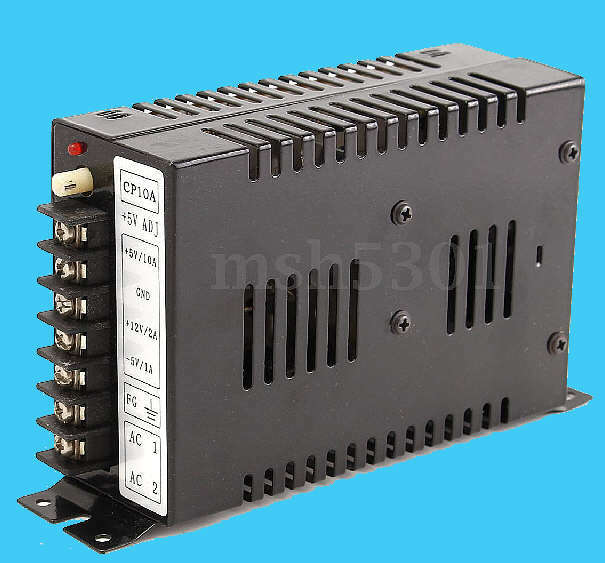 Above is what we need to add to the board to restore the missing voltage. 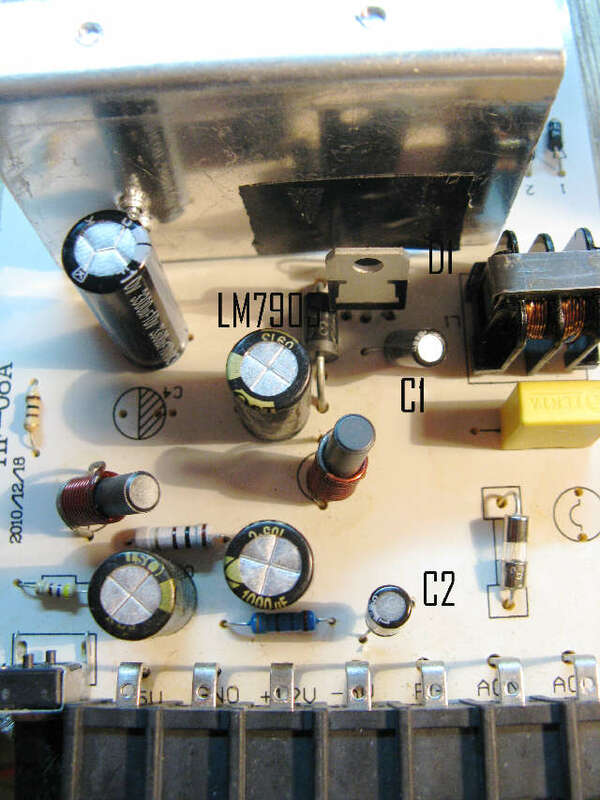 I took the source input for the LM7905 from the +12v source before the rectifier. Here is where I placed the parts. I used a small dremel drill bit to place the component holes in positions that I thought worked best. 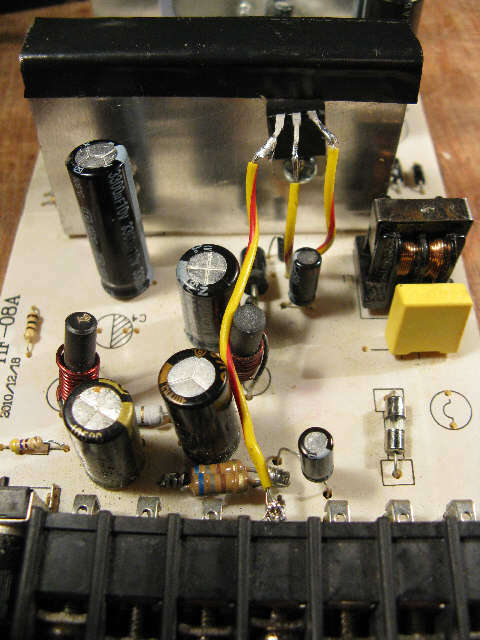 This photo shows the placement of the components, including the LM7905 -5V regulator, before change. I found the regulator was getting too hot when a game board needed the -5V, in one case it failed. 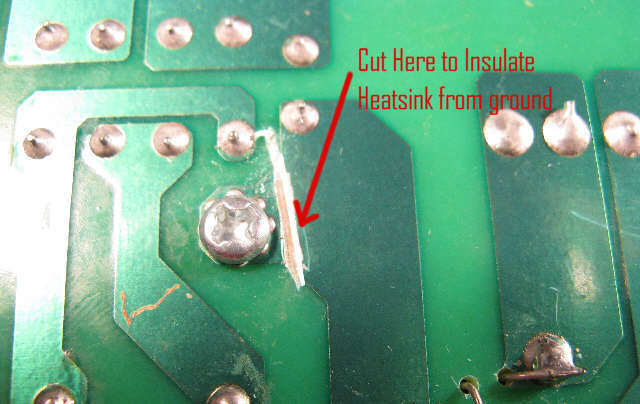 Or cut the foil at the one side of the heat sink mounting to isolate it from PCB ground and mount the regualtor directly to it. (see dotted line on board bottom). Mount at hole on right, then wires can extend it's connections to the points shown. 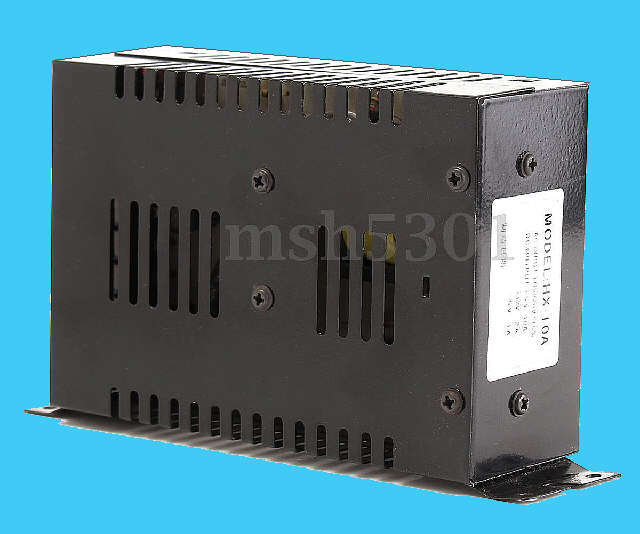 If mounted directly insulate the heatsink from the top case, and do not secure it to the case top with original screws.